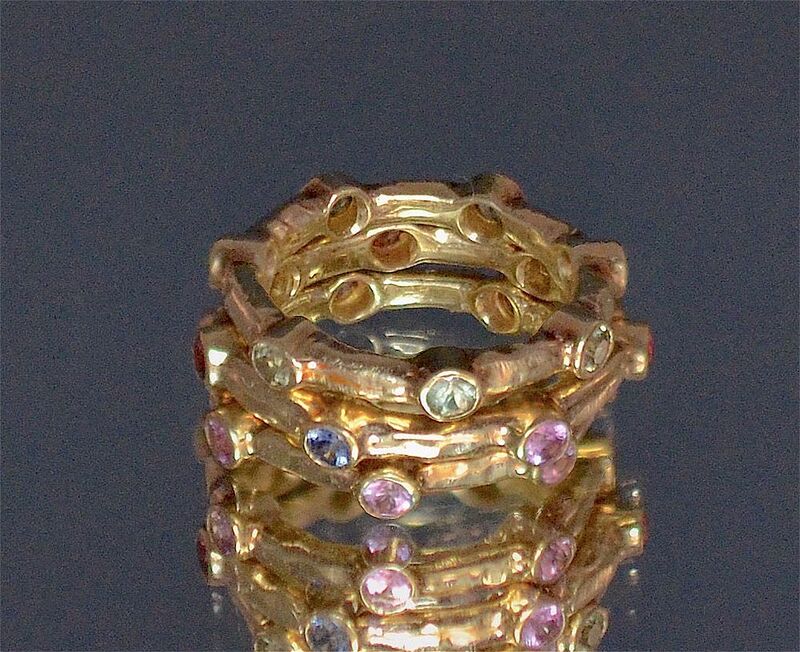 This 18ct yellow gold plated silver stacking ring was designed by Toma Clark Haines for the TCH COLLECTION. 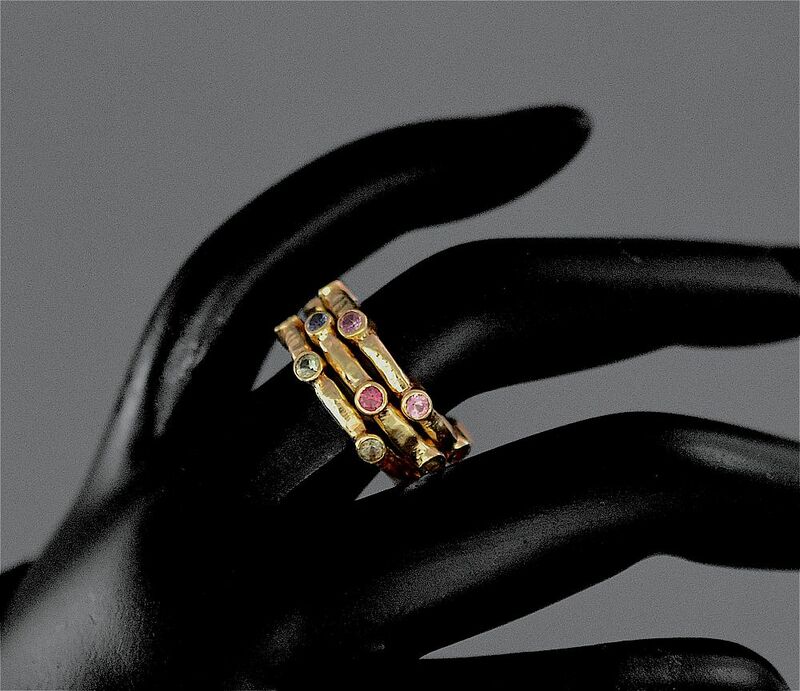 Each of the 3 textured rings is set with mixed coloured sapphires in rubover settings. You can combine the 3 rings in any order that you like. A really elegant every day wear.